Welcome to Day 3 of the American Made Brand Blog Tour. Today I'd like to share with you the license plate I designed to represent the great state of Massachusetts. While I'll always consider New Hampshire my second home, since I lived there for 15 years, I will always love Massachusetts - the state where I was born and call home again. Keep reading for a great giveaway! I thought it would be fitting to make a license plate with the ubiquitous hat worn by the Pilgrims since Massachusetts is where the Pilgrims landed. I also wanted to design something that people might be able to use, not just for a license plate quilt. This hat block would be perfect for a small throw pillow to decorate the house during Thanksgiving. This block is paper pieced and finishes at 12" x 6". Because the block is 12" long, I recommend printing this block on legal size paper. To download the pattern for free, visit my Craftsy shop here. If you've never been to Massachusetts, I highly recommend a visit. There's so much to see. 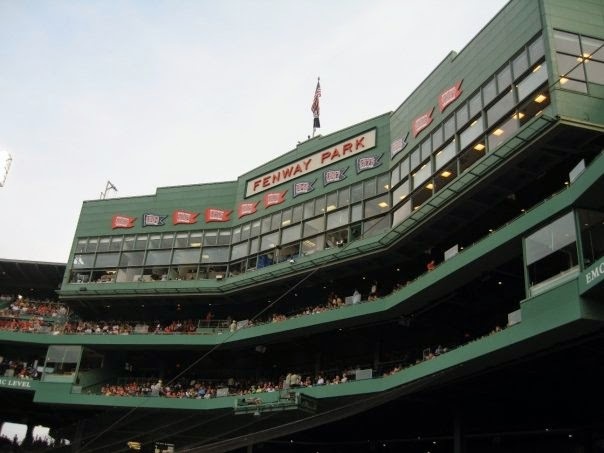 In Boston you have a number of great sites like the Freedom Trail, Fenway Park, The Boston Public Garden, The Museum of Fine Arts, The Children's Museum, The Museum of Science, Faneuil Hall, The North End, and so much more. The restaurants are amazing. Outside of Boston you have beautiful beaches (yes, like on Cape Cod and The Islands). Drive west of the city and you can visit Lowell, the birthplace of the American Industrial Revolution. For us quilters, there's the New England Quilt Museum, the Boot Cotton Mills and the American Textile Museum. You've also got beautiful lakes and mountains all over the place. The Appalachian trail does go through Massachusetts after all. And we can't forget about the Berkshires in Western Mass. Are you a basketball fan? You're in luck - the Basketball Hall of Fame is in Springfield Massachusetts. Oh, and while you're out here, you can always visit some of the other awesome states in New England. Now for the giveaway... Clothworks is giving away a fat quarter bundle of its American Made Brand fabrics. These fabrics are 100% Made in the USA. The colors are wonderful and rich. I want to make this giveaway easy, so just tell me what state you're from and one thing you like to do there to be entered. That's it! If you are a no-reply blogger, please make sure I have a way of contacting you. If I can't email you, I'll pick another winner. Only US residents or those with a US mailing address are eligible for this giveaway. I'll draw a winner next Tuesday, May 27th. I am from Michigan and I love to enjoy all of the Great Lakes beaches! I love the idea you used for your block. Perfect! I have yet to visit Boston (hope to be able to soon) but being from a neighboring state I have enjoyed some of the other places you listed. I'm in New York and we love to visit all the Pick-your-own farms to stock up on lots of yummy fruit in season. Thanks for the cute pilgrim hat! I live in IL. and I love to go antiquing. Thanks for the giveaway. We live in Florida, and what we like to do here is going camping in our little Airstream to the state parks, enjoying all of the wildlife, especially the birds. I have a little Juki that I keep in our camper so I get some quilty fun in as well on our excursions. Thats a great hat! I live in California, in the mountainous upper region, and we love to be outside, enjoying the fresh mtn air, creeks and rivers. Thanks for a fun blog hop. I was born and raised in New York State but have called South Carolina home for the last 36 years. I enjoy spending time at the beach. I was raised in Maine and lived there until about 12 years ago. I love the ocean and the sound of the surf. I still enjoy going back to do that when I can. I was born in Chicago and lived most of my life in rural Illinois, but for the last 6 years have lived in Florida and have found my true home. Love to gaze at the water and watch dolphins. Visited Massachusetts a few years ago; loved Salem; Hawthorn's "House of Green Gables"; THE SCRABBLE FACTORY; saw Plymouth Rock and so much more. I encourage everyone to visit if at all possible. I am from Indiana. We love to drive all over the State, but we have a tendency to do that when visiting other states. Love to joyride. I live in Alabama. My favorite thing to do here is go to the beach at Gulf Shores every fall with my quilting bee to spend a whole week sewing and having fun. I live in Missouri. So many things Cardinals baseball, St. Louis Blues Hockey or sightsee! I live in the great state of Texas! we love Galveston Island, while it doesn't have the typical blue water beaches it's what we are used to....you can go year round and have fun! I live in Pennsylvania - the AT goes through my state too! I love to hike in the Pennsylvania forests! I live in New York State and I enjoy going to estate sales and flea markets, looking for vintage treasures. Hi. I am from the State of California. We have the San Francisco Giants where my mom watches every game possible. San Francisco is 2 1/2 hour drive from where I live. When you think of SF, you think of the Bay Area Bridge as well as the San Francisco Golden Gate Bridge and the Fisherman's Warf. I live in the City of Sonora which is actually called the Foothills, Sonora has shops that tourists like to visit that is on Washington Street where most of th businesses are located. Our population is much larger. We never had by-passess or even stoplights before. Thank you for being a part of the AMB Blog Tour and making this so much fun for all of us. I'm from California! The list is long of wonderful things to do here, but from me it is the beach--the waves, fresh salt air--especially in the winter when few people are around. I'm in The Villages, FL, relocated from NC two years ago. There are more activities available here than one could ever do, but I've fallen in love with Billiards. I'm from NC and like to go to our beaches. In fact I wish I were at one right now! I'm from Central Texas and I love seeing the wildflowers in the spring! Our Bluebonnets are spectacular! Wonderful block!! This has been such a fun road trip! Your block is great! I live in North Carolina and I love to go to the beach and the mountains. I love that we have both within easy driving distance! I live in Ohio. There are several state parks I would like to visit. If I had the money I would move to Southern California though. I spent some time in Del Mar on the ocean and fell in love with the beach. Great idea to make something we can use for holiday decoration! I will take you up on that! Be sure to check out my block on June 12! Love to be able to find American made items. I live in Southern California...but don't really like it anymore.. to many people and to much traffic! Takes to long to get down the road 40 miles! But I used to enjoy going to the out of the way places like the desert, Palm Springs, Laguna Beach and other less popular places at the time! I am from Ohio...would love to go back and see my old stopping grounds! Hello from Utah. I love driving up into the mountains during the summer to cool off. I was born in Kansas, traveled and now live in Missouri just 30 miles from the small town I was born in. I love to get in the car and day trip around the state. We have the Ozarks, the Lake of the Ozarks, the Plaza, the Arch in St. Louis, Budweiser Clydesdales, historical places to visit and every kind of geography from mountains to the plains. The best thing is that everything is less than a days drive away. I have now lived more than half my life in Kentucky. I like the climate here -- not too many extremes and very low risk of disasters like earthquakes, tornadoes and hurricanes. Ilove in Pennsylvania and we have several lakes around us so we like to go boating. I live in Washington state, I just moved here from Michigan last year so I am still getting used to the northwest! But I really love to go for hikes and see the beautiful nature here! I was born and raised in Virginia, a beautiful state. I love to go to Skyline Drive and look at the mountains and valleys and hike the easier scenic trails. I'm from Pennsylvania and I LOVE to drive through the Pocono Mountains during Fall to see all of the gorgeous colors! Thanks for the chance to win! I live in Oregon and love to eat the hazelnuts that we grow commercially. I live in Gloucester, Massachusetts! Where are you - let's have lunch! There is SO much to do here, love being so close to Boston, the MFA, the theaters, etc., and worked at the NE Quilt Museum in Lowell for 5 years! A walk on Good Harbor Beach or on the breakwater - or even just sitting at Niles Beach are among my local favs! Very cute block, and I love paper piecing. Wisconsin pride here. It's a beautiful state, with so much to do outside year-round on our lakes, trails, forests, and bluffs. And of course, we have the Packers. Enough said! I'm from North Carolina and I love that we have access to stunning beaches as well as the glorious Blue Ridge Mountain Parkway. Plus, we have amazing college football and basketball! I'm from Indiana but I now live in Georgia! For Indiana, the Dunes are a lot of fun. And there are tons of lakes. Brown County has some gorgeous state parks too. For Georgia, Atlanta has just about anything you could ever want in a city. But if you go just about 90 minutes north of the city, the North GA mountains are lovely and there are tons of cabins to rent for a long weekend away to relax. Living in Oregon. Visiting our beautiful Rocky coastline is a favorite of mine. What a fun plate design! I'm from NY and my favorite thing is to hike in the mountains. I'm going for my 46 High Peaks. 25 down, 21 to go! I live in Missouri. Home of Newton Hillyard who played a large part in the world of basketball. While at the Basketball Hall of Fame in MA check out the section about Hillyard. Hillyard Inc is still producing finishes for basketball courts around the US. Of course we have the Pony Express, Jesse James, Branson and the St. Louis arch to name a few. I live in the Sunshine State of Florida! I LOVE living here. The weather is balmy almost year around, so it is perfect for any kind of outdoor fun. There are beaches and beautiful woods. Living in Central Florida doesn't look like the palm tree lined pictures of south Florida, but it is still beautiful. Thanks for letting us share. I live in Tennessee. I love to visit Graceland and Beale Street in Memphis, Nashville, Chattanooga, and hike the many beautiful trails in Tennessee! I live in Kansas. Home to WSU Shockers, Kansas Cosmosphere and Space Center, Strataca - Kansas Underground Salt Museum, Big Brutus Coal Shovel, Largest Ball of Twine and Largest Hand Dug Well to name a few. I live in Wisconsin and enjoy driving around in our 1960 MGA and sight-seeing. Jen - What a great license plate! I went to college and grad school in Boston, not far from the Fens. Greetings from Miss Pennsylvania! I was born in Ohio. I now live in east Tennessee. I love to visit my family in Ohio and I am glad to have retired close to the Great Smoky Mountains. hello from Kentucky! there are some great places to hike out here. Virginia is my home. I love to travel the length and breadth of this varied state and enjoy the beauty of the coastline, the rolling piedmont, and the old mountains. Greetings from California! I live near the beach in San Diego so that's my thing! I live in Georgia and I love heading to the beaches for quiet afternoons when I am not quilting that is. I am from Florida, and I LOVE to visit the beach, and I also enjoy poking around beautiful St. Augustine - so many things to see! I'm from Pennsylvania. We live near the Pennsylvania State Grand Canyon, so we enjoy picnicking and hiking there. I live in Florida now and like to go to the beach in the early morning. Jen, your block is awesome! Hugs from Texas! I live in Nebraska & love the beautiful open sky here. Love to walk on the Platte River in the summer. Wisconsin - I like to go hiking and attend summer/fall festivals like the Apple Affair we have in my town. I live in So. Cal and would love to go see Hearst Castle. I'm from PA, and iI love to visit Hershey Park in the summer. I'm originally from Long Island, NY, but love living in PA now. I love camping, and have been to Mass many times. I'm currently from New Jersey. I like to picnic here. Nebraska. I love to quilt!! Love your block. Just right for MA. I live in western NY, just south of Rochester. A favorite thing to do here is visit the wineries in the Finger Lakes. Wisconsin is my home. I love golfing anywhere in the state from May through October. Cross country skiing is a favorite winter activity. I know you said one thing to do, but I chose two because of our marvelous seasons. I live in Oregon and I love to fish. I am from Colorado. I would love to do another wine tour in the Grand Junction area. I'm from KY. and I love to fish here! I am from Mississippi. Guess my favorite activity is quilting right now. Getting hot outside and once the humidity sets in I will be hard pressed to leave the house. BTW, I love your block! I'm originally from MD but have lived in NC for 41 years. We like to visit the mountains around Asheville. Thanks. I live in Santa Fe, NM and enjoy the various markets that happen throughout the summer, from the International Folk Art Market to the Indian Market and everything in between. I am originally from New Jersey, but have lived in Arizona for 50 years! My favorite thing to do is visit the Grand Canyon. It is the most beautiful place I have ever seen. In fact, the whole state of Arizona has so many beautiful landscapes. I live in Georgia. And I love making(sewing or crafting) gifts for friends and family. I'm in Atlanta, GA. I love to visit the botanical gardens here! I am a Massachusetts native and love our weather. Yes, even the blizzards:) I survived the winter of 2013-14 so I feel very hearty and able. The pilgrim hat looks neat. I live in Southern California and love the cool breezes that come from the beach. It is a beautiful place to live. I am from NC and love to spend time in the mountains. I'm from Colorado and I also love to spend time in the mountains! The Rocky Mountains, though. I'm from Washington, and one thing we've done a number of times in the last year is visit historical Leavenworth, WA. It's modeled after a Bavarian village, and it just too much fun to see. Thank you for sharing the info about MA, I look forward to making across the US to visit someday! What a cool block :) I really enjoyed reading about your Massachusetts .... so very far away from Montana where I live ... but I would love to visit someday for the history alone. While we have history in Montana, its more likely you'll find me outside enjoying biking looking at the beautiful scenery.... Thank you for sharing!! I live in Virginia and I enjoy sightseeing here -- so much to do from history to hiking. I'm from Illinois but live in Texas and now my favorite thing to do in Texas is go to the beach which is just 3/8th of a mile from our house. I am from Ca, and like to go into the city (SF) and get hot fudge Ghiradelli sundaes! I'm from Tennessee, a Memphis suburb, to be specific. Memphis is famous for it's barbecue. This month I've enjoyed going to Memphis in May for the barbecue festival! I currently live in Georgia, where I like to go do stuff in Atlanta, but I'm originally from Maryland, where I would like to eat crab cakes if I wasn't a vegetarian now. Michigan and we love camping. I currently live in North Carolina--not too far from the Charlotte Motor Speedway! If your are into NASCAR racing this is the place to be Memorial Day Weekend for the Coca-Cola 500. I live in Colorado and I would like to stay at the Broadmore. I live in Illinois & recommend hiking in the waterfall-filled canyons of Starved Rock State Park. I'm from WA, the Evergreen State and my friend and I are doing some waterfall hikes this summer on Mt. Rainer and along the Columbia River Gorge. I am from California but currently live in Texas. I love to visit national parks and try to visit one each year. Love your quilt block, very cuter! What a cute block...I love it. I am from Pennsylvania and I love riding my bike on the back roads through the beautiful countryside. I live in Massachusetts. I love to see the exhibits at the New England Quilt Museum. I like to combine it with a walk through the National park. I am from New Jersey and I love going down the shore. Thank you for the chance to win. I'm from California -- we have lots and lots of wild coastline that I love to visit. Great design - you did a wonderful job. I'm from NC where we've lovely beaches. I'm from Missouri and I love to visit the art museum! I live in Washington state, and spend time in the mountains: watching wildlife, swimming in the lakes, picking huckleberries, etc. I live in NC and love to go to the mountains. Oh how fun, Jen! Your design is a perfect image of Massachusetts at a glance! My family has spent lots of time there with both sets of parents living in W MA. A great state that has one of our all-time favorite places to visit any time of year...Sturbridge Village. It's even fun in winter in a snowstorm complete with a bread bowl full of their delicious clam chowder. And Cape Cod (lobster and fudge! ), Boston's North End Italian food complete with singing waiters, and concerts at Tanglewood in the Berkshires - so many reasons to visit. I live in North Georgia and one of my favorite things to do is visit all the the spring and fall festivals to see all of the craft offerings. Go Mass! I love to get lobster rolls and go to Sox games. I like your Pilgrim hat! And thanks for the great post on Massachusetts. I'm from Wisconsin and it's interesting to visit Frank Lloyd Wright's home and studio. I'm from Minnesota and I enjoy spending time at the lakes...in the summer! I live in Oregon but I am from Connecticut but Iam from Connecticut. I enjoy ridding around looking at the fall colors it will always be home. I currently live in Mesquite, Nv. I most enjoy belonging to my local quilt group, as well as a book club. I am from Wisconsin. I enjoy a nice walk on our many trails with our two dogs. I live in Illinois and love downtown Chicago in the summer. So much to see and do there ... the museums, the lakefront, Navy Pier, the festivals, and the restaurants. I live in Oregon and we love going to the coast on weekends, especially to have breakfast at our favorite little spot, the Wildflower Grille! The coast is always beautiful even when it's stormy, sometimes especially when it's stormy. Lovely hat block! You already mentioned all the fun things in Mass :-). My favorite is hiking, trails and of course all the museum. New England quilt museum was lot of fun! I'm from Pennsylvania, and I love to visit historic places, like Philadelphia and Gettysburg. As an Air Force kid and now wife I've never had a home state, but my grandparents live in Florida and we love to visit and go to the beach! Oh wow! With those quilty places, I may have to put Massachusetts on the top of my places to visit soon! Your block is unique, and I love the hat! You're right, it will make a great small pillow. I'm definitely going to make one of those. I look forward to your visit to Louisiana when my license plate rolls around. I'm from Idaho right now and I like to quilt, sew & do all sorts of crafts. But mostly, I like to go to Alaska and be with my boyfriend and fish! I live in Missouri and I love the diversity of the scenery in the ShowMeState! I am from Texas. I love spending time with my family. Teal is my favorite color. I live in Missouri. We like to go camping on the river and swimming. Thanks for the chance to win! I am from Washington State and one thing I like to do is fly kites on our ocean beaches. Love your pilgrim hat block. I'm from Washington state and I love to garden here. California, and going to San Francisco, my husband's favorite place is Fisherman's Wharf! I live in Texas and love doing anything outside...gardening, biking, picnicing, etc. I am a Nevadan living in Washington! Other than quilting on my longarm, I love riding my horse here on the farm! I am from Michigan and nothing beats a sunny summer day on the beaches along beautiful Lake Michigan. I'm from Nebraska, and I love a good family reunion in a cool, shady park in the summer! I don't think I'll make it back this year, but I can dream! Wow a wonderful tribute to your state...I am from TN where we have free concerts in the summer every Friday at the amphitheaters and it is just wonderful to sit out and listen to some music in the beautiful weather....Have a wonderful day. Washington - I know I should say hiking, but I'm going with a short walk for a cup of coffee! Mississippi checking in ! You'll probably find me quilting (surprise) or fishing Come on down ! I live in Virginia and I poke my nose out of my quilt room occasionally to walk both for exercise and to enjoy the lush green landscape. I am from Missouri and I love all the lakes and going to our land on the lake in southern Missouri. Thanks or a chance to win. Love AMB- it was my initials before I got married. Born and raised on Long Island, NY, lived in Connecticut for 12 years and now in Florida for one year. Long Island and Florida both have amazing beaches, which is where I can usually be found! I live in rural Missouri and love to visit St. Louis for the zoo, the Arch and a Cardinal game. Michigan; we love to camp and visit the Great Lakes! I'm from Minnesota and now that the snow has finally melted, I love to sit on my deck after dinner with a glass of wine and watch the loons on the lake. I'm from Maryland and I enjoy eating our wonderful blue crabs from the Chesapeake Bay. Virginia and I love riding bikes on the beach boardwalk. I'm from Louisiana and I enjoy going to the French Quarter in New Orleans as well as going to Saints games in the Dome. Signing in from Indiana...Love those IU Hoosiers. GO IU!! I am from Illinois, I love Lake Michigan and the lakefront in Chicago. My hubs and I like to go to White Sox Baseball games. I live in Virginia but originally from australia! I live in Wisconsin, and spring here is very colorful -- trees blossoming, flowers coming up, things are a million shades of green! If you don't have allergies it's a good time for morning walks and sitting on the patio in the afternoon. Sometimes you have to wear a sweater though! I'm from Dayton, Ohio and I love going to Hueston Woods to swim, fish and camp out. They've got a huge lodge to stay in too with indoor pool and games and cabins to rent. Great place to do a lot of different things. I've been to Salem, and it was so fun! I even toured the witch museum. The lobster was awesome! Thanks for the giveaway! I live in Kentucky now and I love spending time outside in the beautiful spring and fall weather! All the trees are so beautiful up here! I am born & raised in Washington State, I love to go to the coast in the winter when we have storms! I live in Nevada and love to walk at Calico Basin. NM and I want to attend the balloon festival this year! Love your hat block! I'm from WA state, and love visiting Alki beach. It WAS easier since I grew up a ten minute walk from it, now I have to drive 45 minutes, but I still try to get out there regularly in the nice weather! I am from Wisconsin and I love all our parks and lakes for weekend camping. Cute block! I was born in Pennsylvamia, grew up in Florida and now live in a Georgia. :-) thanks for the block pattern and giveaway. Originally from New Hampshire, raised in Indiana, now living in Alabama. My genealogy research takes me back to the Pilgrims. Thank you for the giveaway and pattern. Popping in from Illinois here! WOOT!! I love your pilgrim hat. It made me chuckle! So fitting! Hello from Pennsylvania! Love your block, Boston is one of my favorite cities! In PA my favorite thing to do is hike the many trails!! Native Californian here that frequently travels to the Sierra Nevada mountains and lives on the central coast by the Pacific Ocean. Like to walk on the beach! Thanks for participating in the AMB Blog. originally from PA, love to go hiking! From Washington (state). I like going to cold, wet, windy, rocky Washington beaches! Originally from Alaska and I love watching waves. I'm from New York and iive in Texas, and I like gardening. I'm Mary from Boston, Massachusetts. I love to walk in the city and end up at an Italian restaurant in the North End, or walk in the Arnold Arboretum this time of year and enjoy the lilacs in full bloom! I'm from Iowa and I love to eat Iowa corn on the cob! I live in Kansas, near a large lake. I like being at home after a long day at work just enjoying the beautiful sunset over the west shore. I am from Mississippi and I would love to visit the islands off the MS Coast. Love the pilgrim hat, what a great multi-purpose block! I live in New York and one of the favorite things I like to do here is go camping at our state parks. Because of that I can say I've had a foot in Massachusetts! One of the parks we visited awhile back had a hiking trail that goes up to a waterfall. Halfway up to the falls, there was a point where the borders of NY, MA and CT meet! So standing at the trail marker there I was able to be in your state without leaving my own!! Cute block! I'm now in California and love all it has to offer -- mountains, deserts, beaches, big cities and small. I'm from California, and really enjoy the weather. If you want to see the snow, go to the beach, or the mountains or desert, you can drive to it. If the traffic is light, you can do it all in one day! Yes, we do have earthquakes, but a terrible TV commercial is longer and more agonizing! I'm from Vermont and I like to take walks in the country!